Montana Infestation/History: Rare, North Western Montana. How to Prevent the Spread: No data available. 1. "yellow flag iris." Perennials on parade. 3/16/04. Kurt Weiss Greenhouse, Inc.. 3/16/04 <http://kurtweiss.com/products/perennial/yellow.html>. 2. "yellow flag iris." Non-Native Invasive Aquatic Plants in the United States. 3/16/04. Center for Aquatic and Invasive Plants. 3/18/04 <http://aquat1.ifas.ufl.edu/seagrant/iripse2.html>. 3. . "Skye Flora." Yellow Flag. April 7, 2003. Photo @ Carl Farmer. 3/11/04 <http://www.plant-identification.co.uk/skye/iridaceae/iris-pseudacorus.htm>. 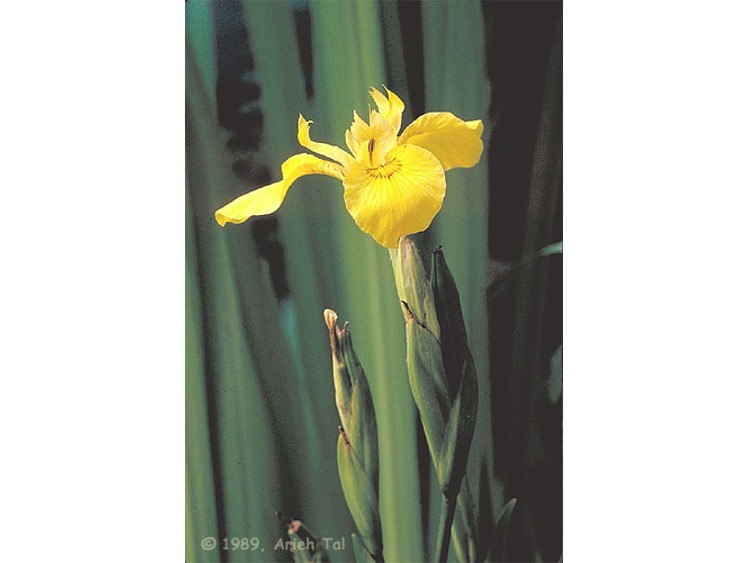 4. . "Yellow Iris (Yellow Flag)." Connecticut Botanical Society. Feb. 15, 2003. Connecticut Wildflowers. 3/11/04 <http://www.ct-botanical-society.org/galleries/irispseu.html>. 5. "Wildflowers." enature.com. . National Wildlife Federation. 3/10/04 <http://www.enature.com/fieldguide/showSpeciesRECNUM.asp?recnum=WF0162>. 6. University of Florida Aquatic Weed Management Guide, Vandiver 1999 http://aquat1.ifas.ufl.edu/seagrant/iripse2.html. 7. Cody WJ. 1961. Iris pseudacorus L. escaped from cultivation in Canada. Canadian Field Nat., 75: 139-142. 8. No author found. <http://aquat1.ifas.ufl.edu/seagrant/iripse2.html>. 9. Falinska K. 1986. Demography of Iris pseudacorus L. populations in abandoned meadows. Ekol. Polska 34(4):583-613, <http://aquat1.ifas.ufl.edu/seagrant/iripse2.html>. By: Zac & Layne 03/04. Updated By: Ben Foster 3/1/07.